Berry Architecture worked with Shunda Construction on a 20,600 sq. 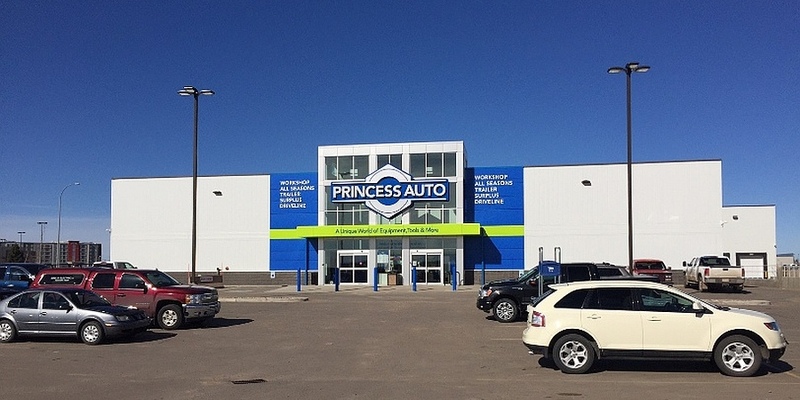 ft. retail outlet for Princess Auto in Medicine Hat. The design included a large retail floor, shipping, receiving, offices, washrooms, warehouse, and loading dock. There is a 2,000 sq. ft. mezzanine for administration spaces. The design includes provisions for the possibility of a 5,000 sq. ft. future addition. Berry Architecture and Shunda have a long history of working together on successful projects; this repeat-client relationship demonstrates client satisfaction and multiple project successes. Administration mezzanine: 2,000 sq. ft.